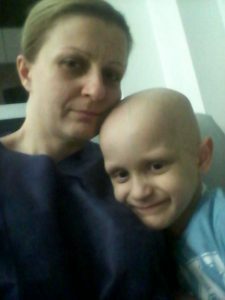 I went to the oncology department with my son Szymon in June of 2017. I held my son in my arms tight as if someone would take him from me me forever. 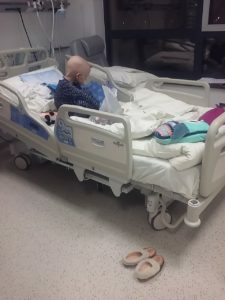 It really got to me that my child is dying. 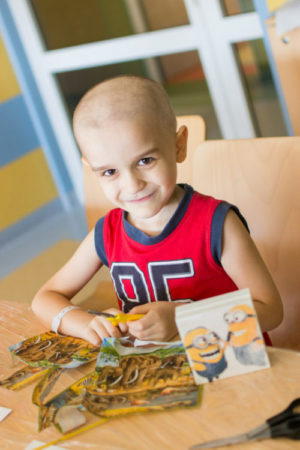 It was there for the first time that I saw children facing death from cancer. 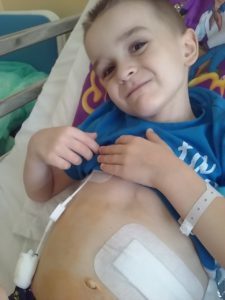 In the midst of all this was my son – my defenseless child who had to fight cancer. It all started with pain in the heart area. Szymek complained of the stinging. One day I received a phone call from kindergarten – it was so bad that Szymon was crying. After a visit to the clinic and an immediate referral, he went to the hospital. After a series of tests and ultrasound of the stomach, a message appeared, cancer but it was only suspicion, which is why I still hoped that the tumor may not be malignant. Unfortunately, hope goes out very quickly. 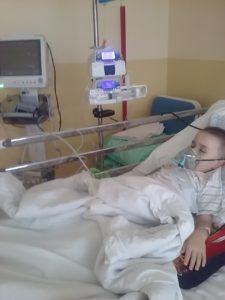 The worst was confirmed in a moment … The ambulance took Szymek to the Department of Children’s Oncology in Rzeszów. He was terrified, he did not know what was going on. He nestled into my arms and asked why we had to go somewhere and why we could not go home. The first weeks in the ward were a nightmare. Szymek’s whole life escaped. He did not want to talk to anyone, he stopped eating. When anyone entered the room, he turned his back. For the first time I saw such fear in the eyes of my own son. Again, he was taken for further research – ultrasound, tomography, tumor biopsy. I remember that even then I asked the doctor if there were any chances that the tumor would turn out to be benign. Asking a question, I still had hope. 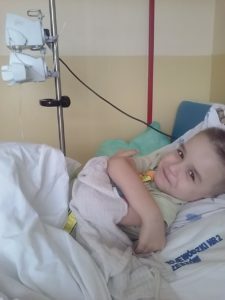 Hearing the answer, I felt like someone was ripping my heart out… Soon after, the final result of the biopsy came – tumor of the left adrenal gland: Neuroblastoma IV degree, malignant neuroimaging of the nervous system! The more time Szymek spends in the ward, the more mature he becomes, I explain to him that his tummy is sick and he must first be cured. He understands more and more, but he also asks more and more questions. When the nurse comes, he asks why he gets this injection. When the physician assumes a central input for administering chemistry, he asks why it must be connected. It becomes a “small adult”, although no child should have to mature so early. I am a mother who loves her child for life and who will do everything not to die. Unfortunately, love alone is not enough to heal Szymek, but it is enough to believe in a miracle. I can not imagine that I could lose him and I can not imagine that one day I would say goodbye to him. That’s why I am asking you for help… Help me stop death who wants to take my child away from me.